Crama Purcari, Cabernet Sauvignon de Purcari, Cabernet Sauvignon, vin rosu, vin sec, din struguri din podgoria Purcari. King of red wine, Cabernet Sauvignon Purcari collection, Moldova, is a high quality wine, dry, aged in French Barique and bottles, glass ruby to brick, has a special flavor. Grapes harvested manually, the pomace fermentation in oak vats, malo-lactic fermentation, aging in French Barique, stabilization, sterile bottling, aging in bottles. Aroma of berries and dried flowers harmoniously blends with the flavor of vanilla and black currant. 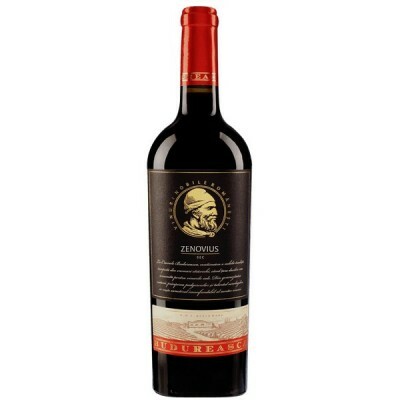 Its velvety taste with hints of chocolate and ripe fruit with notes of vanilla, contains sweeping light tones of oak and is characterized by an after taste, persistent and plăcut.Caşcavalul refined French dishes from beef or lamb will become more appetizing and tasty as a whole dry red wine Cabernet Sauvignon Wineries. The recommended consumption is 16 ° С.